Expert design of furniture is backed by 30 years of production experience. 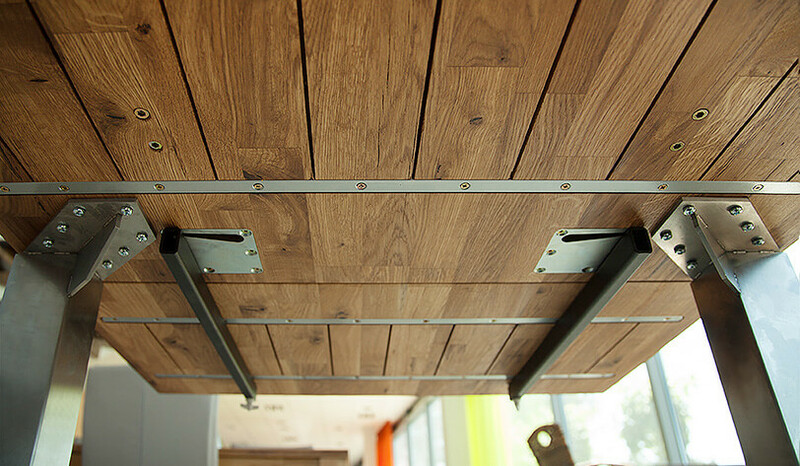 The raw material is the second guarantee - solid wood: durable, noble and long-lasting. Beds, cabinets and chest of drawers made of natural wood are the most valued pieces of furniture in the industry. The structural reinforcements of The Beds furniture do not change their unique design. Double beds are reinforced by a middle strip on the inside, which not only increases the quality of usage but it is also need to support the weight of the base, mattresses and the users. A larger than standard number of wooden dowels guarantees that the wood (being a natural material) of the chest of drawers does not undergo deformations. The fittings used in the furniture which is produced and sold by The Beds are components of a highest quality which are produced by renowned German companies specialized in such products: Häfele and Hettich. 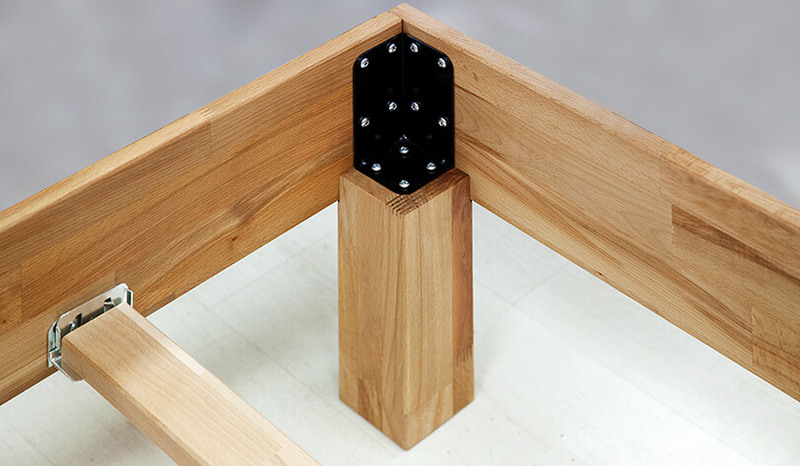 Eccentric joints are one of the solutions used by The Beds that we need to mention. They are used in pieces which are strongly and constantly encumbered, such as bodies, beds and modular furniture. The joints used for this are: Minifix and Confir-Plan. The wooden dowels are used in lighter structures, which are not as encumbered as the ones mentioned above. The guides we used in the furniture sold in The Beds shop are: metal sliding ball guides, standard guides with soft close, hidden guides and autoclose and amortization (the PERFECT collection for kids and teens) and push-ope guides used in the KOLI collection. All of the components mentioned above are of the highest quality and durability. Together with the raw material this guarantees the longevity of our furniture. Furniture from The Beds shop can be divided into the ones which need to be assembled (sometimes only partially) and the ones which are delivered already assembled. The first group encompasses: cabinets which are the hardest to assemble, beds (partial assembly), dressing tables with an extensions (in this case only the extension needs assembly). Chests of drawers and most bedside tables (apart from those hung on the bed base) do not need assembly. 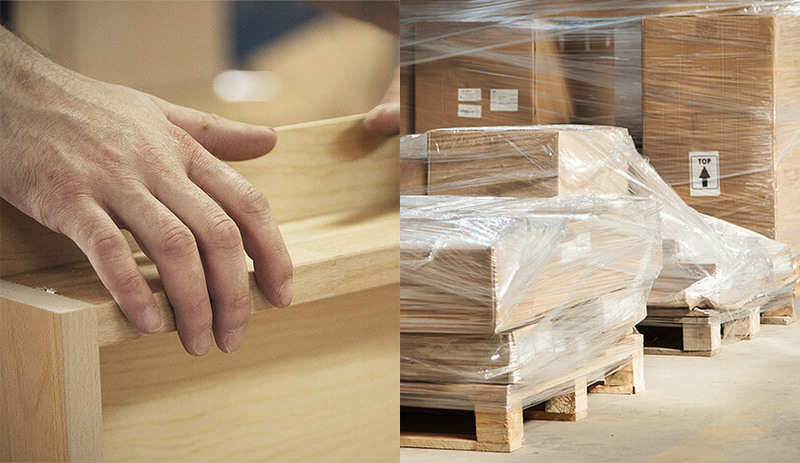 The furniture we delivered is fully assembled and protected from any damages that may occur during transport. Cabinets need to be assembled by two people as they are large and heavy pieces of furniture. Acting according to the manual delivered with the furniture allows for a quick and unproblematic assembly. The Beds shops provides a 10-year guarantee for its products, starting from the date of delivery to the client. The company guarantees that the products are of high quality, free of defects and fit for their purpose as long as they are used with their intended purpose in terms considered typical, at normal load, with proper care and maintenance. A detailed guarantee is set forth in the terms and conditions on the website. It describes in details which latent defects are liable for a warranty claim and which are not. We encourage you to make yourself familiar with the details and rules of the guarantee as this may save you the need of making a warranty claim. Getting to know the rules of proper furniture maintenance will make it possible for you to enjoy your furniture for many years. 10-year guarantee for the furniture The Beds! The furniture manufactured and sold in the BEDS.pl shop is subject to the demanding standards set forth by the Polish Normalization Committee. Thanks to this you can be sure that the furniture you buy is safe and durable. Our designed beds from the PERFECT collection for kids and teens have been sent for attestation due to their purpose. This will ensure parents that the furniture is 100% safe. After many tests the Pracownia Badania i Atestacji Mebli (Furniture Research and Attestation Workshop) awarded the furniture with a certificate which is a proof of durability, stability and durability.